This is something I’ve pondered for quite a while now but the launch of Clinique’s Limited Edition Happy in Bloom just brought it to front of mind. 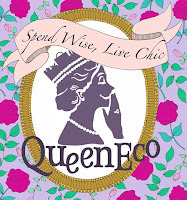 Why do brands launch fragrances that are related to each other but are subtly different? Is it just to refresh the brand and to push sales? Take Gucci’s Envy, Envy Me and Envy Me 2. Why did Gucci feel the need to create so many scents with what is essentially the same name. Is it to springboard off the popular Envy perfume to market a new perfume? Or has sales been dwindling for the classic Envy and they felt the need to boost it? Envy and Envy Me are very different scents and I’m just not too sure where the correlation is. 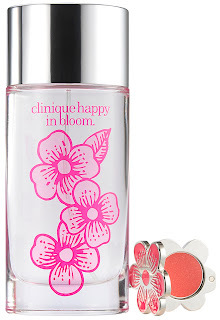 Clinique recently launched the limited edition Happy in Bloom. This, to me, is an obvious marketing ploy to drive sales. Limited Edition perfumes always make me cranky. If only because a) if it’s really nice, then you can’t get it again, so why bother and b) if it’s not, then why is the brand coming out with a limited edition version? According to their press release, for Happy in Bloom, Clinique featured the main floral note of the original fragrance and then added in yellow plum, a cocktail of frozen fruit, and watery green notes. (Sidenote, what on earth does watery green notes smell like?) It comes with a floral charm that contains Butter Shine Lipstick and is available at all Clinique counters for HK$465. I don’t know about you, but even the prospect of getting free lipstick with the perfume isn’t going to drive me running to their counters. HAHAHHAHA your post title is SUPER misleading. My pet peeve is when boys wear unisex perfumes. unisex perfumes should only be used by girlies. and architects who are stupid. but that's a whole other story.